With Ducati launching its 1299 Panigale this week, when better to have a look at the Bolognan firm’s trademark ‘desmo’ valve technology? Bikes nowadays – they’re pretty boring, eh? Quite ‘samey’. A bit ‘meh.’ What’s that you say? Boring? My 210bhp ZX-10R? Shurely shome mishtake? Okay, let me rephrase that. It’s become easy for bike manufacturers to make utterly nuts motorbikes without bothering too much about interesting ways of doing so. Yes, so there’s a traction control algorithm here, a colour LCD screen there. An electric motor turning the damper screws is convenient yes, but it’s hardly the Manhattan Project, is it? Nope – a four-cylinder piston engine, with four valves per cylinder, twin cams, fuel injection and water cooling is a fantastic thing when you’re tazzing it round Brands, Catalunya or Laguna Seca, no doubt. But for the sad tech nerds out there, they’ve seen it all before. Fuel injection? Kawasaki had that on a Z1000 in 1980. And four-valve heads were around before WW2 on various Rudges and Triumphs. Water cooling and twin cams? Standard fitment on Noah’s factory homologation Ark. So we should be grateful that some firms like to do things a bit differently. And chief amongst them is Ducati. Not only has the firm stuck with its 90-degree V-twin motor instead of vanilla in-line motors, it was early with the fuel injection (on the 1987 851 superbike, borrowed from the Ferrari F40 of all things). And it likes to do its frames in steel tubes and carbon monocoque, rather than the extruded aluminium of the Orient. Incidentally, you’ll notice I said ‘V-twin’ there and not the nonsensical ‘L-twin’ used in Ducati PR fluff. Draw an ‘L’. Does it have one long line and one short? Yes. 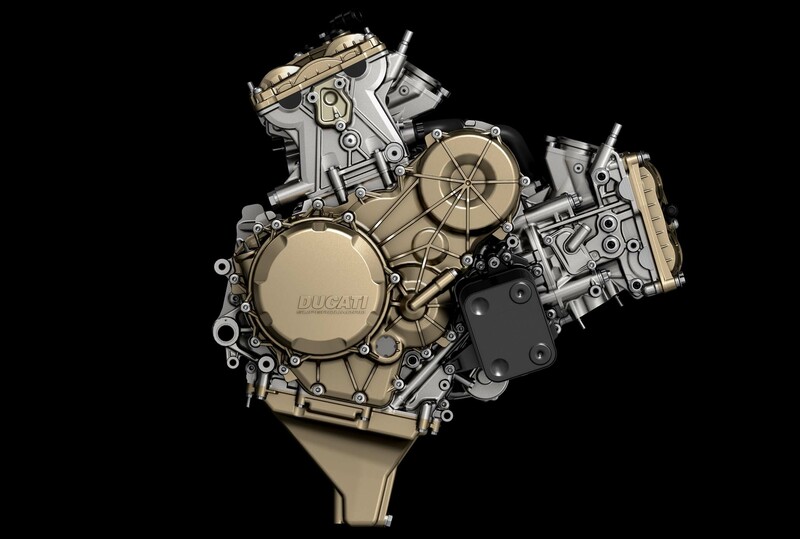 Do Ducati’s engines have one long stroke and one short stroke cylinder? No they do not. So it’s a ‘V’, with equal-length arms, and we’ll brook no quibbles about the right angle between them. Back to the good innovation from Bologna then. Perhaps the most ‘Ducati’ of all the firm’s technologies is the desmodromic valve operation. Put simply (for now), the valves in the cylinder head are both opened, and closed, by rocker arms and cunningly-shaped camshafts. 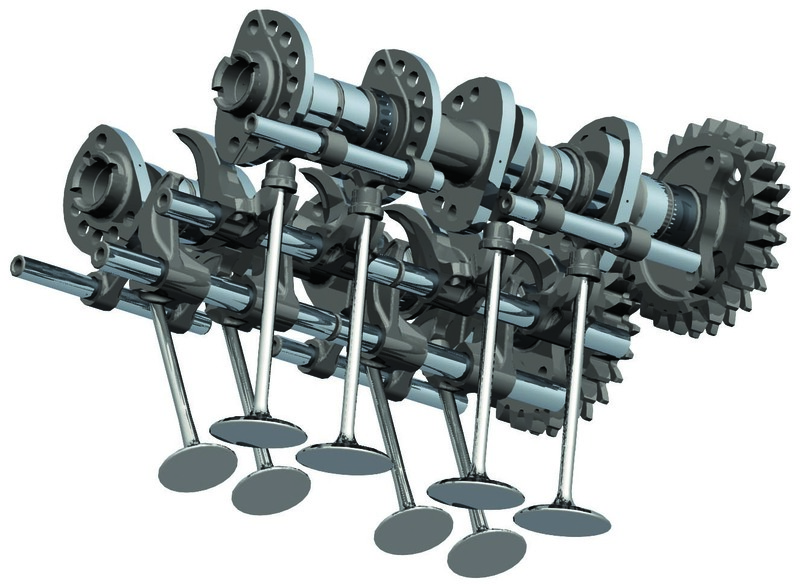 Compare that with conventional valve gear, where the valves are held closed by stiff springs, and are only bashed open by the camshaft, with the springs slamming ’em shut again once the camshaft nose has passed by. The benefits were manifest in ye olden days – the metallurgy behind spring steel wasn’t very good, and making springs which could keep valves closed at high revs, without sapping a load of energy to push them open, and last tens of thousands of miles was beyond science in the early 20th century. So, clever engineers came up with the desmo setup to bypass this. Positively pushing the valve closed as well as open gave much better performance and reliability at high revs, and as we all know, revs means power means big wheelies and escaping from the cops. Yay! Most folk think desmodromic valves are specifically a Ducati thing, and that the whole idea is patented by the Borgo Panigale heavies. Not so. It’s understandable to think that of course – why does noone else use it? But desmo valves go back almost as far as internal combustion engines themselves. In the white heat of engine development around the first and second world wars, designers tried just about anything to get round the handicaps of the primitive materials and designs of the time. So a quick scan through the digital annals reveals desmo valves in Grand Prix cars before WW1, and most famously, in Mercedes racing cars in the mid 1950s. Different interpretations from what we have now, but the same principle. But it’s the work of Ducati engineer Fabio Taglioni we’re interested in here. He came up with a desmo head for a 125 GP racebike in 1956. Dubbed the triple-knocker, it had three camshafts, which did the job of opening and closing the single inlet and exhaust valves. Back then, the rules were much more flexible, allowing geniuses like Taglioni to try out new solutions. The triple-cam motor didn’t set the world alight straight away, but by 1958 Ducati had a winner on its hands, and the desmo system had proved its worth. It took another fifteen years or so for Taglioni’s desmo system to appear on a V-twin though. After powering a series of singles through the 1960s, Ducati went large in the early 1970s, with first a series of racebikes, then road bikes, using an all-new desmodromic-valved V-twin engine. The 750 Super Sport hit the roads in 1974, with its air-cooled 748cc motor pumping out 72bhp. 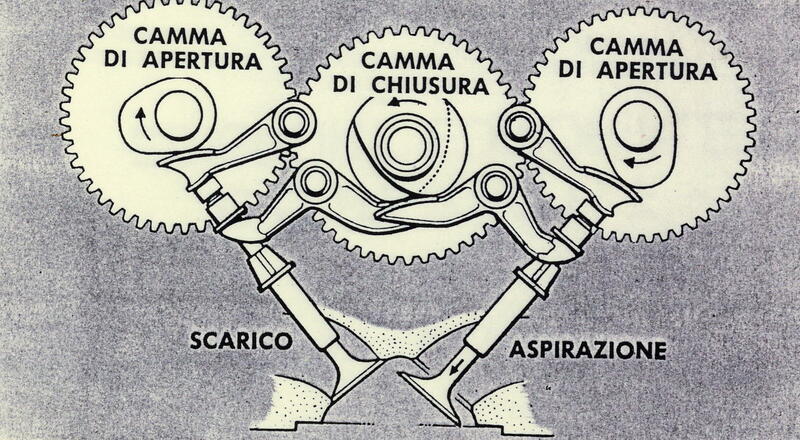 Those early V-twin motors had desmo camshafts in their heads, driven by expensive bevel –geared drive shafts. They went well enough, although Honda’s CB750 and Kawasaki’s Z1 had queered the superbike pitch a bit. Nevertheless, the basic design of these engines remained in place for more than thirty years, variants powering the Ducati SS Supersport range, then the Monster family which earned the firm so much cash in the 1990s and 2000s. Air-cooled, two-valve heads were always going to limit the peak power output of the SS range though, even with desmo valves. So in the mid 1980s, the firm came up with something else. 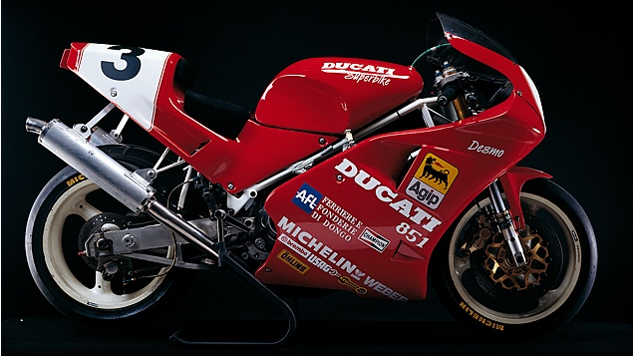 Ducati had been bought by Cagiva, owned by the ambitious Castiglioni family in 1985, and the new owners wanted an engine that could do the business in top-class racing, but which also had headroom in the design for future growth. The air-cooled two-valve motors simply couldn’t cut it against the mega-bhp powerplants coming out of Japan, but Taglioni wasn’t so interested in water cooling or four-valve designs. So Cagiva signed up a new head engineer for the project – Massimo Bordi. 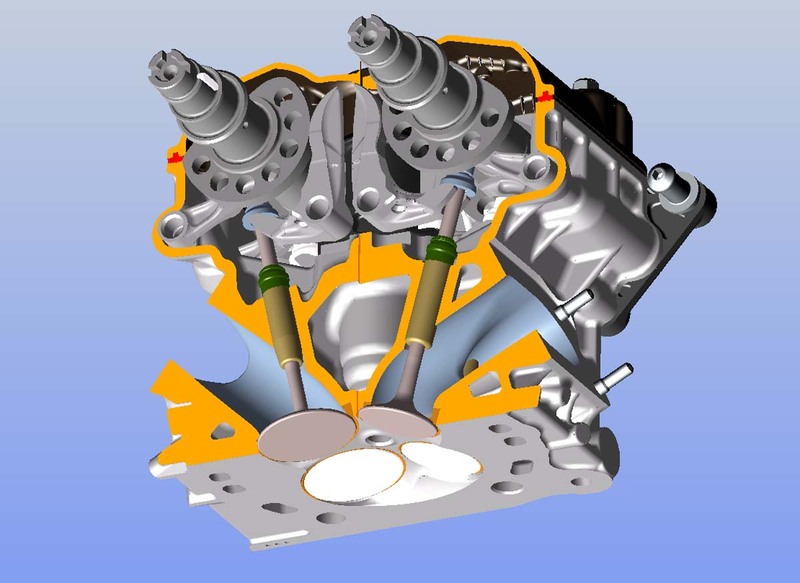 Bordi had prepared a thesis on a four-valve desmo head ten years earlier, so was well placed to head up the project. And with help from Cosworth, he built the first 748cc eight-valve water-cooled desmodromic V-twin, to compete in the 1986 Bol d’Or endurance race. 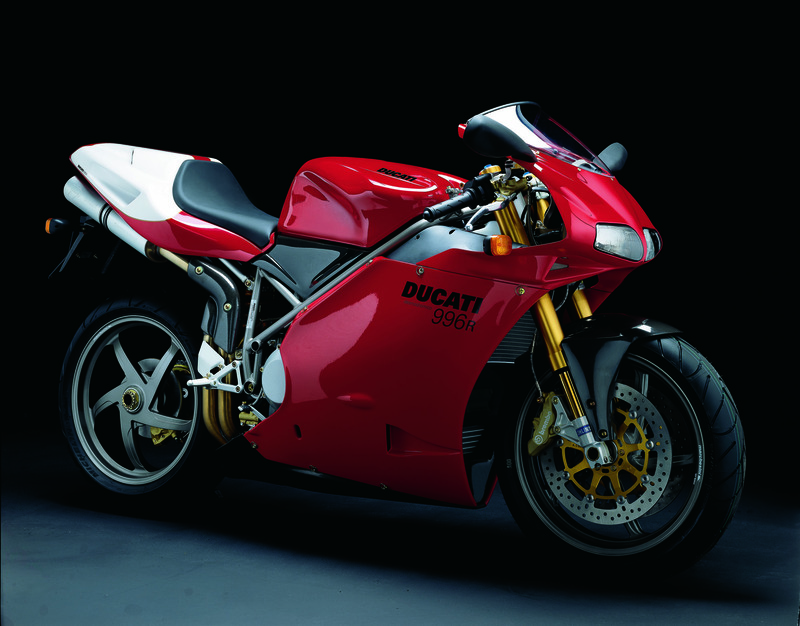 It retired with a mechanical failure, after more than half the 24 hours was up, but the point was made, and this was the future for high-performance Ducati desmodromic engines. This first 748cc motor became 851cc, then 888, and, of course, 916cc. 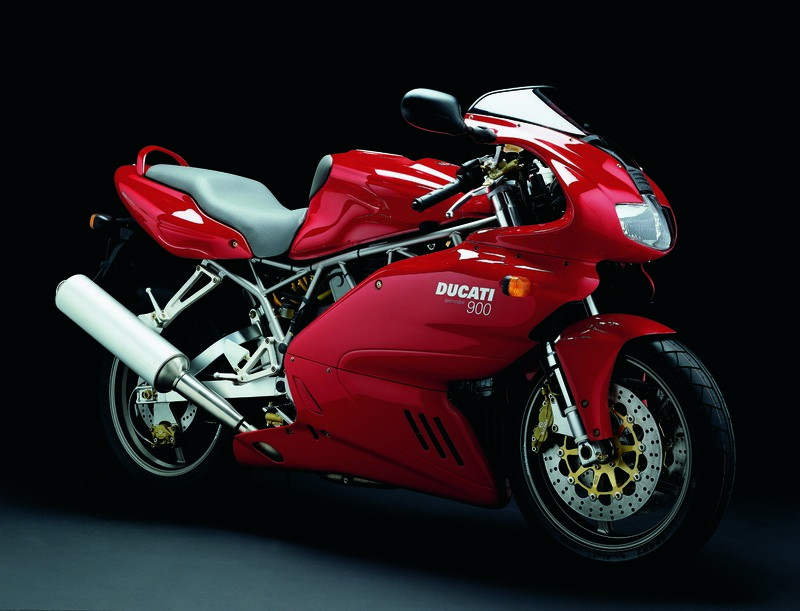 The legendary 916 grew itself, to 955cc in race form, then 996 and 998, and 999cc. And you can see those roots even in the 1098, 1199 and 1299 superbikes of recent years. They all still use a variant of the desmo system pioneered by Taglioni, fine-tuned by Bordi, and brought up to date by Ducati’s current engineering team, headed by technical director Andrea Forni.